In late 2011, we began the slow process of writing the follow up to our debut LP Roads to Judah in between a lot of touring, plan making, member changes, etc. Though a lot of changes have occurred, it has taken a little over a year to finish up this monstrosity. Before I go into details of the recording process, there are two major factors to point out in the making of this record. Firstly, for Roads, we wrote the songs as a five piece band. There were different creative inputs and personalities that affected the writing and recording of that album. For this, Kerry and I reverted back to the way in which we handled the first set of Deafheaven songs by writing and recording the entire thing ourselves, outside of drums. For a record that clocks in around 60 minutes long, it is definitely a full reflection of our tastes and a representation of where we’re at as a band, three years after conception. Secondly, before we agreed to going into the studio, we discussed different options with whom to record with. I’m a fan of a lot of different production styles and inquired to certain engineers, but ultimately, after we discussed how we wanted to approach this record, we agreed that going back to Jack Shirley was our best option. Jack has worked on everything we’ve ever recorded and while he is extremely talented, thoughtful, and easy to work with, my favorite part about working with him is that I’m comfortable enough to not be intimidated. We bounce ideas off each other and he helps us sculpt what it is that we’re trying to create. In fact, for this record, he definitely took on the role of producer much more than our previous efforts, which was awesome. It honestly felt like we accomplished this together and it felt great. Day one starts with drums and scratch guitar. 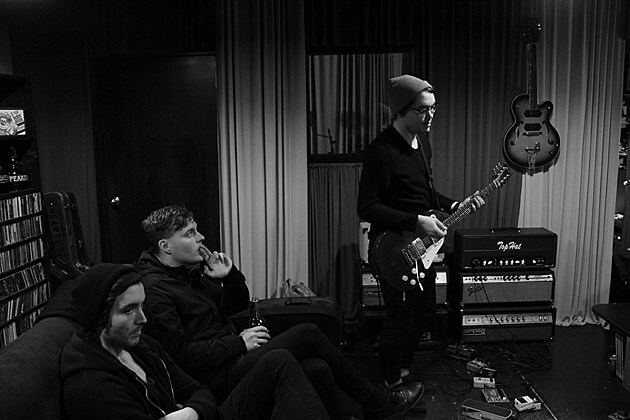 For this record and all upcoming Deafheaven shows, Daniel Tracy has taken the position. From the beginning, Kerry and I definitely wanted to put more of a focus on percussion. Since Roads, we’ve worked with some really talented drummers and Dan is no different. He stepped up huge on this record. For me, drums have always been a bit of an afterthought which is strange because they certainly shape our sound, but as long as they were fast, I didn’t care much otherwise. That is definitely not the case with this record. There are sections where drums absolutely make the song pop, which is a huge development. We use a fairly simple set up; a four piece DW kit. Snare, kick, one rack tom, one floor tom, hi-hat cymbals, and two ride/crash cymbals. For uptempo sections, we close mic with Shure 57, AKG 414, and Audix D4 microphones. For the bigger, spacier sections, AEA R88 ribbon microphones. Drums end up taking all of day one and a few hours into day two. Our sessions are always around eight hours long, making this the longest time we’ve ever spent on drums. Day two consists of all distorted guitars. 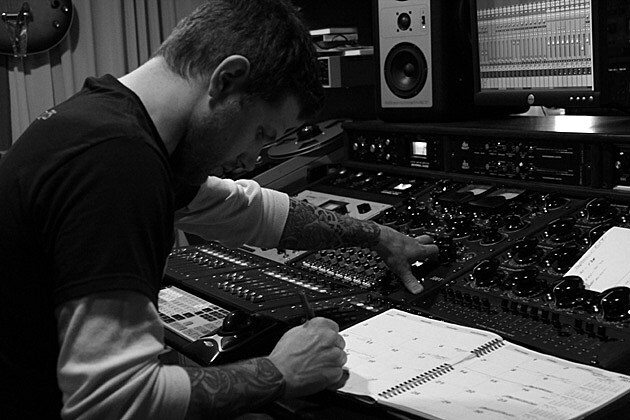 Typically, Kerry tracks four layers, tracking each rhythm twice and giving the same treatment for the leads. For these sessions, Kerry is playing his Les Paul. His pedal board consists of a Memory Man with Hazari into a Delta Labs chorus which connects to a Holy Grail reverb and a Digitech Jam Man. For the rhythm, we used a Top Hat Emplexador through a Marshall cab with Vintage 30s. For the leads, we used an Orange Rockerverb 100 through the same Marshall cab. Kerry also uses a whammy bar, which we utilized a lot for this record to create the ‘glide guitar’ sound, which is essentially using the bar to waver chords in and out of tuning to create a dizzying effect; i.e. My Bloody Valentine. While he does this, I have the pleasure of hanging out with Tre from Deathwish Inc. who has flown in from Massachusetts.